Only one week after US-Indian LPO UnitedLex bought California-headquartered LawScribe, Pangea3 at 3:30 am Indian time this morning closed its sale to Thomson Reuters, a company which provides data, information and news services but is a new entrant to the LPO game. Former OfficeTiger CFO and GC Kamlani, who founded Pangea3 together with former Monster.com GC David Perla, told Legally India that Thomson Reuters had acquired 100 per cent of Pangea3’s shares. Of these roughly 50 per cent were previously owned by outside investors and private equity houses Sequoia Capital and Glenrock Group, which had bought $7m and $4m stakes in 2007 and 2006 respectively. Kamlani (pictured) added that “probably a couple of hundred” Pangea3 employees were holding employee share options (ESOPs) and would receive consideration from the deal on a one-to-one basis for every share they held, and that in the past there was a time when every Pangea3 employee was getting ESOPs. Kamlani, Perla, managment and employees jointly held around the other half of the LPO’s equity before yesterday’s sale but Kamlani declined to comment on Business Standard’s cited transaction value figure of $35 to $40m. The Pangea3 name would remain unchanged, said Kamlani while adding that a tagline might be added branding the LPO as a division of Thomson Reuters Legal. Pangea3’s CEO explained that they had decided to be acquired by Thomson Reuters because of the opportunities for synergies and the LPO’s US expansion plans. 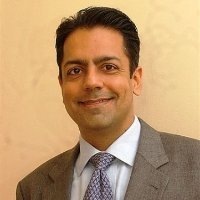 “There’s been a lot of interest that has come from both private equity and others in the market but it was very clear to us that Thomson Reuters was far and away a great fit for our organisation culturally and in terms of business – the Thomson Legal business, everything they have in their business, is synergistic with our portfolio,” said Kamlani. He said that Thomson Reuter’s legal database product Westlaw was probably the biggest synergy, in addition to a number of database and IP-related assets that would add value to Pangea3 clients. The LPO’s lawyers, who already did legal research, could also co-operate with Thomson Reuters businesses although this was yet to be decided he said. Pangea3 currently has a US presence for BD and marketing purposes, but the company would now start building US-based onshore delivery centres in the US to mirror the Indian LPO centres, although they had not yet decided on location, headcounts and financials of such an operation, which Kamlani conceded would have lower margins that LPO in India. “Yes, we’re owned by another company but I’m still running the business,” he said, adding that many other companies under the Thomson Reuters umbrella would function similarly. The acquisition of Pangea3 reminds me of the early days of BPO takeovers in the dusty township of Bangalore in the mid 90s. This could be the start of the promises held so long by the LPO industry in India. SO pangea insiders..what sort of average earnings you are expecting? @2: I find your comment misleading and misplaced.Though LPOs do not per se provide "legal advice", but lot of legal reasoning is involved in some of the works that a LPO does, specially in the field of Contract Management. but what about The glenrock group which have been the most prominent finance group for Pangea... where do they stand in this deal?? Wonderful. Thompson ko bhi bakra banaya. Im sure many "actual" lawyers feel that LPOs dont do "real" lawyer work but we need to see the bigger picture. Think of the employment it will help generate. Right now with all the new National law schools coming up there are around 3,500 elite law grads being pumped out every year not counting the hundred thousands from minor law schools through out the country. We definitely need more avenues for employment. If LPOs are the solution then so be it. Yes, with a new national law school being opened every other day, can Indian industry absorb so many "corporate" lawyers, given that very few in these law schools want to go into litigation. Which may be a blessing in disguise: the guys who fail to find a berth in a traditional law firm, could perforce have to take a job in an LPO. And the LPOs might be able to get better quality recruits - right now the quality varies alarmingly, from the abysmal to the sublime. But it is very frustrating to assemble a team of competent lawyers. At the end of the day it is quality, quality, quality....and LPOs will have to deliver at competitive rates. And #2, you will be surprised by the nature and complexity of work done by some LPOs. @9:I work for a leading LPO in Bangalore.I find your comment absolutely correct.I believe LPOs provide an attractive career option to young law graduates. @2:Better check ur facts before u make judgement calls on the quality of work done inside a LPO. Well. The salary will definitely increase. The acquisition was made for a huge sums and by people lot smarter than us. Those who are a part will in most likelihood benefit. One thing that the legal, financial, educational, and news information giant, Thomson Reuters, has not been accused of is ignorance. Given that this multi-billion-dollar company has acquired 100% of the shares of an Indian legal outsourcing provider, after also recently deciding, for "strategic" reasons, to sell its profitable and high-profile U.S. bar exam preparation course (BAR/BRI), you can assume that some very smart money is betting on a tectonic shift in the Western legal landscape.